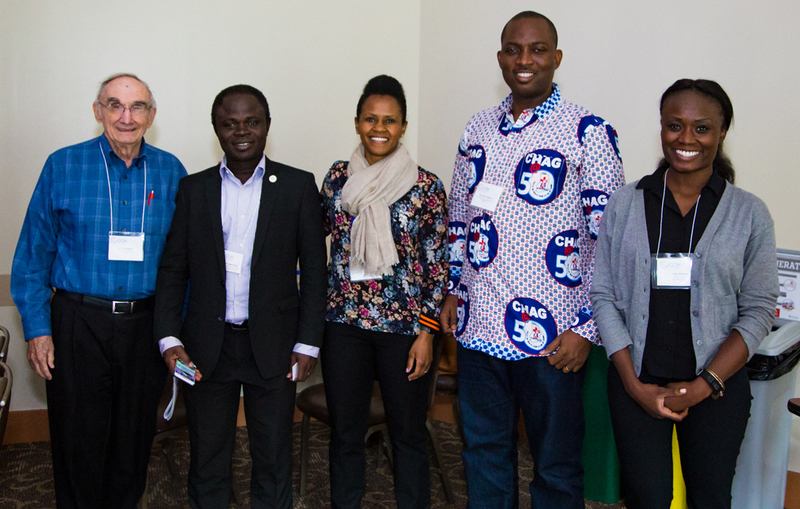 The CCIH Conference was held July 13-15, 2018 at Johns Hopkins University and attracted nearly 200 attendees from 21 nations who came together for dialogue, networking and to share in fellowship with other Christians working in global health. The theme was the Power of Partnership: Working Together to Serve the Kingdom and featured stories of partnerships among faith-based organizations with other FBOs, secular organizations and governments to reach even the most remote areas with health care. Highlights of the conference include Dr. Deborah Birx, Head of PEPFAR and Dr. Alma Golden, Deputy Assistant Administrator, USAID Bureau for Global Health. Both talked about the valuable partnership of the faith community. According to Dr. Birx, the faith community was instrumental in the launch of PEPFAR, using its influence to encourage the program’s creation during the George W. Bush administration. Thanks to PEPFAR, 14 million men, women and children have received ART (antiretroviral therapy) and over 2.2 million babies have been born HIV-free. To improve sustainability of the program, Dr. Birx announced that she has instructed the agencies involved in PEPFAR to have 40 percent of PEPFAR funding going to organizations based in the countries where they operate in the next 18 months and at 70 percent locally based organizations in the next 30 months, news which had not been reported yet. 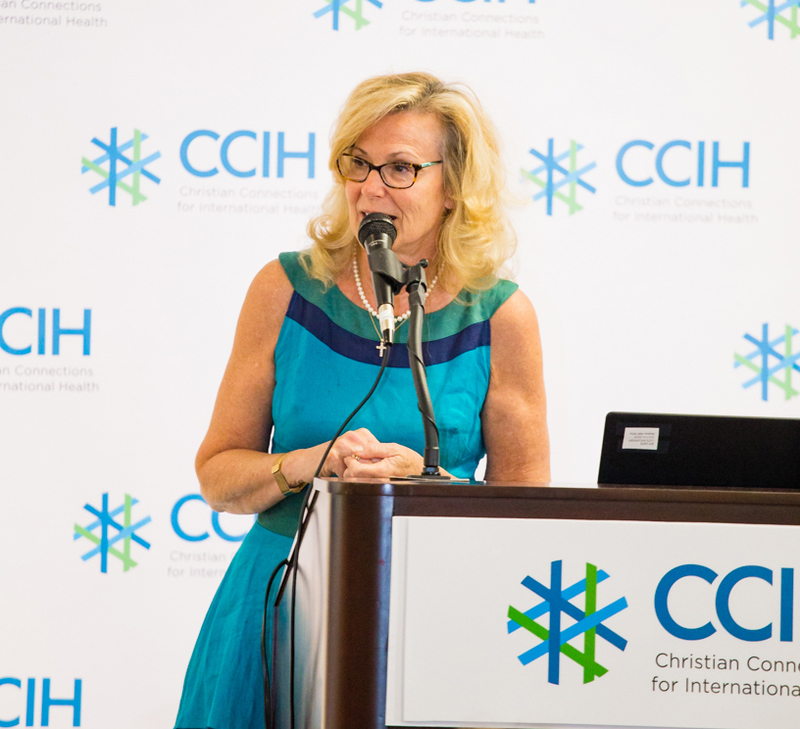 Despite the enormous gains PEPFAR has made, Dr. Birx brought up some major challenges the faith community can help address. She said new groups of mobile young people living outside traditional community structures are hard to reach with HIV messages, testing and services. Dr. Birx called on the faith community to get involved in finding solutions to the strikingly high rate of sexual assault of young girls resulting in HIV infection by people in their own community, saying, the victim and the perpetrator are sitting in the same congregation on Sundays and the church needs to address this. Dr. Alma Golden talked about the faith community’s historic involvement in health care, which goes back centuries. 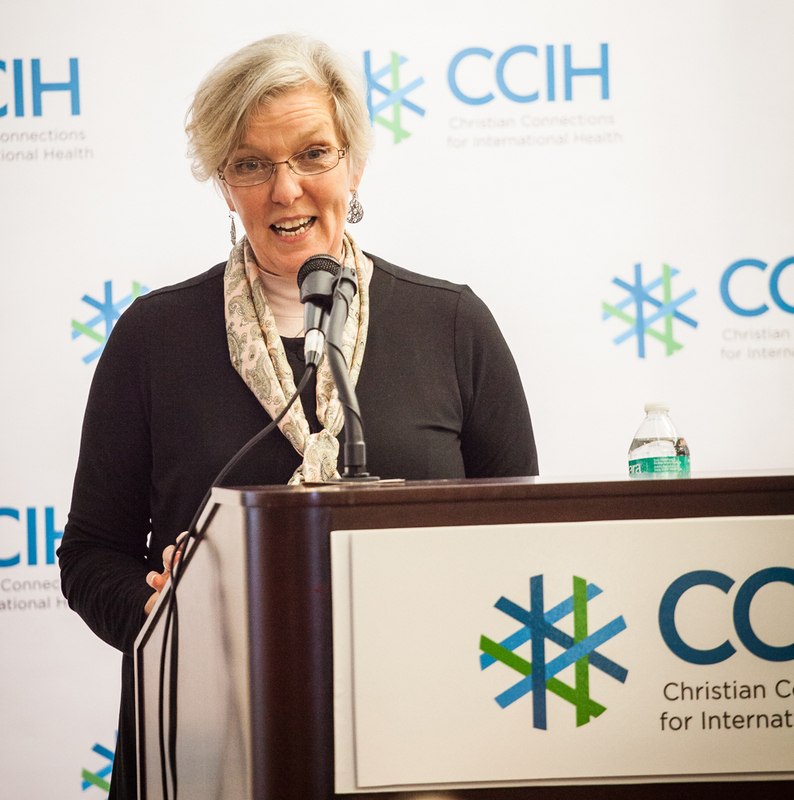 She described the strategic advantage of faith-based organizations in global health by saying FBOs have history, trust, genuine compassion, experience, partnerships and positioning and are able to access hard-to-reach groups with care. The 2019 CCIH Conference will be June 6-8 at Johns Hopkins University. Save the date and stay tuned for more.